All over arrow print make this knit henley tee by Petit Lem standout. Dual blend makes for a soft hand feel. 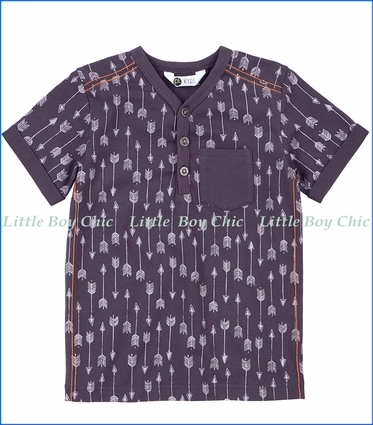 Three button henley neck. Left front pocket. Short sleeves with fold over cuffs.